South African Springboks players take part in a training session at Loftus rugby stadium in Pretoria, in June 2017. JOHANNESBURG - South Africa coach Allister Coetzee admits New Zealand appear to have no weaknesses as he tries to end a recurring personal Rugby Championship nightmare against them. "They do not seem to have any weak areas," conceded the diminutive, 54-year-old former provincial scrum-half when asked about the world champions. Coetzee earlier said "only those living in a fool's paradise" would believe New Zealand could be easily toppled. The Springboks face the All Blacks in Cape Town Saturday in the final round of a southern hemisphere championship already won by the world champions. But Coetzee knows from bitter experience that the last thing on the minds of the New Zealanders will be taking the foot off the accelerator. Since succeeding Heyneke Meyer as coach last year, Coetzee has faced the All Blacks three times with increasingly disastrous outcomes. The first ended 41-13 in favour of New Zealand in Christchurch last year followed a month later by a humiliating 57-15 thrashing in Durban. But if Coetzee thought his embarrassment had reached rock bottom, amid calls for him to be sacked, he was gravely mistaken. Last month, the All Blacks once more scored 57 points against the Springboks, this time in Auckland, but did not concede any points. It was the heaviest defeat suffered by a country that have won the Rugby World Cup twice since they began playing internationally 126 years ago. In three matches against New Zealand under Coetzee, South Africa have scored just one try while conceding 23, including nine in Durban. The Auckland annihilation was particularly disappointing as South Africa had been showing signs of recovery after a woeful eight-loss 2016 Test season. They beat France three times and Argentina twice and drew in Australia before being ripped apart by the clinical All Blacks, who thrived on turnover ball and punished missed tackles. "We must show that we have learnt from our experience in Auckland," Coetzee said after naming his team for the sell-out Test at the 52,000-capacity Newlands stadium. Coetzee made three changes to the team that started a 27-27 draw with Australia last Saturday in Bloemfontein, all of them in the pack with two enforced. Prop Tendai Mtawarira misses out for unspecified "family reasons", allowing Steven Kitshoff to start a Test for the first time after coming on as a replacement 18 times. Excluded from the matchday 23 against the Wallabies, lock Lood de Jager is recalled with Franco Mostert dropping to the bench. 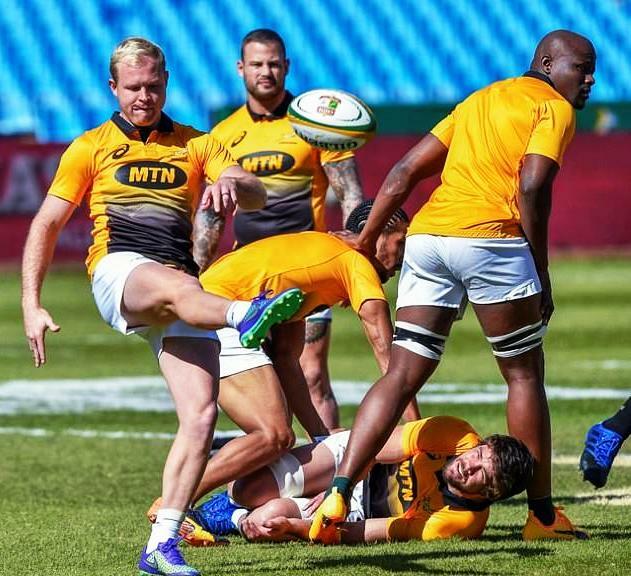 An injury to number eight Uzair Cassiem last weekend triggered a back-row shuffle with flanker Francois Louw taking his place, and Pieter-Steph du Toit coming in. Talent-stacked New Zealand are rotating personnel to try and combat exhaustive Rugby Championship travel involving numerous flights across 16 time zones. Winger Nene Milner-Skudder, centre Ryan Crotty, lock Sam Whitelock and flankers Sam Cane and Liam Squire return after being rested for the 36-10 triumph in Argentina last weekend. That victory included some superlative skills from fly-half and reigning World Rugby Player of the Year Beauden Barrett. A flicked pass created space where none seemed to exist and led to a try, and a back pass between his legs set up another. Barrett is, however, but one of many potential tormentors of the Springboks, who struggled to stop young, physically imposing winger Rieko Ioane in Auckland. Despite winning all five Rugby Championship matches this season -- four with a bonus point -- the All Blacks believe they have yet to hit top gear. "We want to give an 80-minute performance on the park and feel we have not done that yet," was the ominous message from assistant coach Ian Foster. South Africa coach Allister Coetzee admits New Zealand appear to have no weaknesses as he tries to end a recurring personal Rugby Championship nightmare against them.